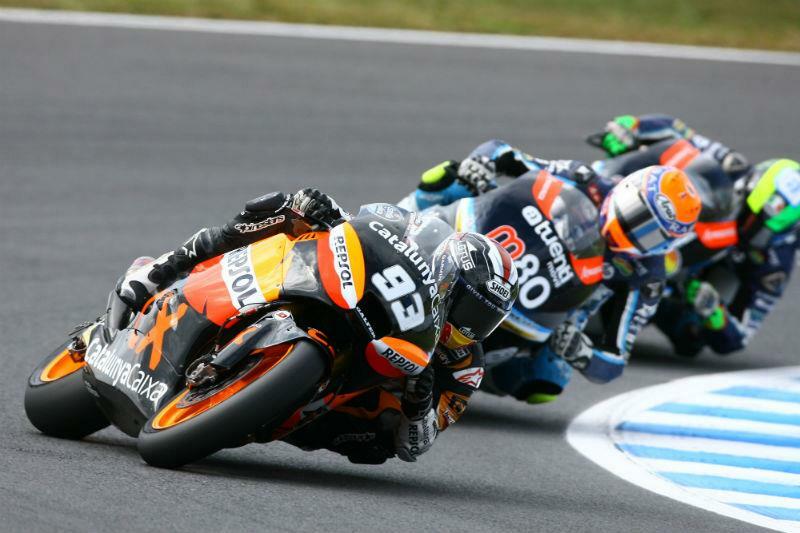 British rider Gino Rea is a notable absentee from the provisional Moto2 entry list released today for the 2013 world championship campaign. The Londoner, who scored a stunning debut podium with third in a rain-lashed Malaysian Grand Prix in Sepang last month, lost his ride with the Gresini squad after a largely disappointing debut Moto2 campaign. There are still two TBC (to be confirmed) places on the grid for next season and Rea has been linked with one in a new ESGP squad that plans to be the only entry to use a British-built FTR frame. Scott Redding and Danny Kent will be joined by Kyle Smith in Moto2 next season. Smith is a Spanish-based Brit who has signed with the Blusens Avintia squad to ride a Kalex chassis with 2010 Moto2 world champion Toni Elias. Now that current world champion Marc Marquez has moved to MotoGP as Casey Stoner’s replacement at Repsol Honda, Spaniard Pol Espargaro will be a big pre-season title favourite. Gloucestershire rider Redding is also being tipped as a serious title contender, particularly now that the Moto2 category will feature a minimum weight for machine and rider in full racing kit of 215kg for next year.